The statement attributed to Rabbi Yehuda Levin said that Hannukah marks the defeat of the Syrian Greek efforts “to impose their pagan culture on the Jewish people.” That included, he said, the increased emphasis on homosexual behavior. Oh, Yehuda, for him to “constantly” be advancing anything, he’d have to be capable of having a single opinion on an issue for more than five minutes. 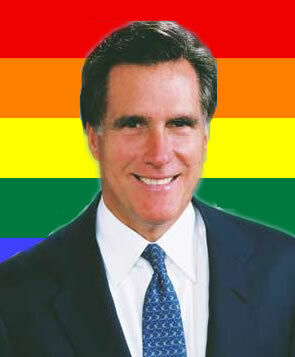 I am happy, though, to have a new thing to call him: Mittens The Dangerous Homosexualist. It’s like a whole new Mormon superhero!